This cemetery is full of mystery, history and charm. Culturally rich, exceptional architecture, sculpture and views. Guided tours are offered, in a wide range of languages! On the entrance you can find a traditional map with locations as well as a virtual screen for faster browsing. It might take couple of hours to complete the tour, but definitely worth the time! It's better to came already knowing some of the characters you'll find inside since their mausoleums reflect some hints of their backgrounds. Enjoy! The place is so full of history you really have to make time to visit this place. The tombs and everything there is so beautiful and amazing architecturally speaking. Even if you are not an avid fan of architecture you can see the beauty of it as it is, I loved the fact that they offered some tours in English because most of the times here in Buenos Aires you don't really get that luxury but here they do their best to give you an excellent tour. This is a visit I highly recommend. It is a different experience because let's be honest you don't get to visit a cementery everyday, but this one is different, it is full of works of art: statues everywhere, some gardens, etc. So it is pretty amazing the way you can (always being respectful) enter and enjoy or be amazed by the great and gorgeous graves that are all around this place. Excellent experience. The cemetery is free to enter (they even offer free guided tours). It is simply a large cemetery full of elaborate tombs of wealthy and/or famous people who wanted to purchase a spot there. Some are quite historical, dating back to the 1800s. Others are as recent as a few years. The cemetery is very large and would take a long time to fully walk through. 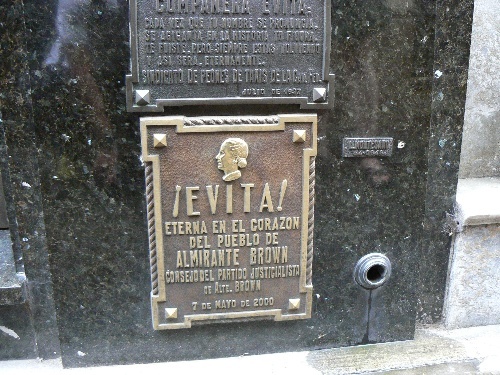 One creepy detail is that some tombs are no longer maintained (due to the family no longer paying the fees). Many of these unmaintained tombs have open/broken doors. Not only that, but some of the caskets are slightly open. You can easily find yourself within a foot of a body that is 100s of years old! Slightly disconcerting. 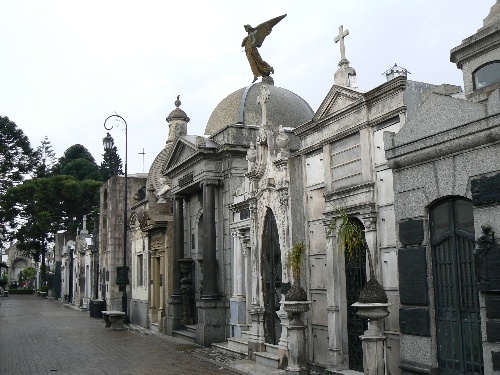 An amazing citadel of the dead in Recoleta. The cemetery is so big that it seems you are walking through streets of tombs. It was a good insight into the lives and values of Buenos Aires' wealthy elite.